If you have logged into your account recently, you may have noticed some changes to both the layout and the functionality. In an effort to make things simpler, we have condensed several pages into one. 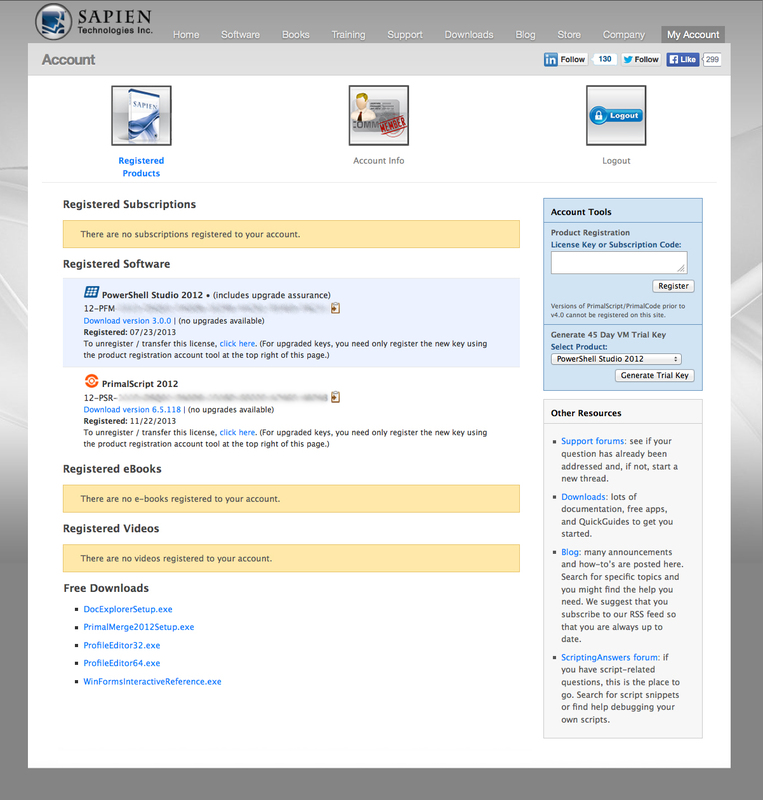 Registered Software, eBooks, Videos, and Subscriptions are now listed out on a single page. 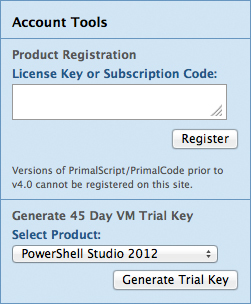 You no longer need to click a separate button to register a new key or generate a virtual machine trial key—both are now found in the blue Account Tools box located in the upper right of the Registered Products page. We’ve also included some handy links to other useful resources—product support forums, downloads, our blog, and ScriptingAnswers forum in the gray area beneath Account Tools. As always, you can download the latest version of your registered product directly from this page. You will also be notified here when an upgrade is available. The ability to unregister or transfer your license remains in its usual place. And you can easily copy your key to the clipboard using the clipboard icon. The ability to update your contact information, username and password is still available by clicking on the Account Info button at the top of the screen.